Peter Parker (Garfield) has been busy keeping the city safe as Spider-Man, all the while juggling his life as a high school student and his relationship with Gwen (Stone). After running into an old friend, Harry Osborn (DeHaan), Peter is disquieted to learn that OsCorp has him under surveillance. 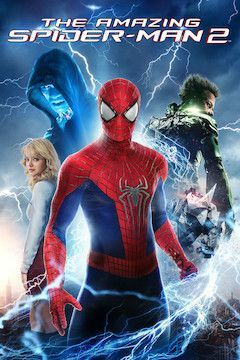 As some powerful new villains emerge -- Electro (Foxx) and the Rhino (Giamatti) -- Peter comes to realize that the new threats on the city all point back to OsCorp.